Iranian president says his country can restore elements of its nuclear program if world powers don't live up to their end of the bargain. Iranian president Hassan Rouhani on Wednesday threatened that the Islamic Republic could restore elements of its nuclear program that were halted under the deal with the West, if world powers that backed the agreement don't live up to their end of the bargain. 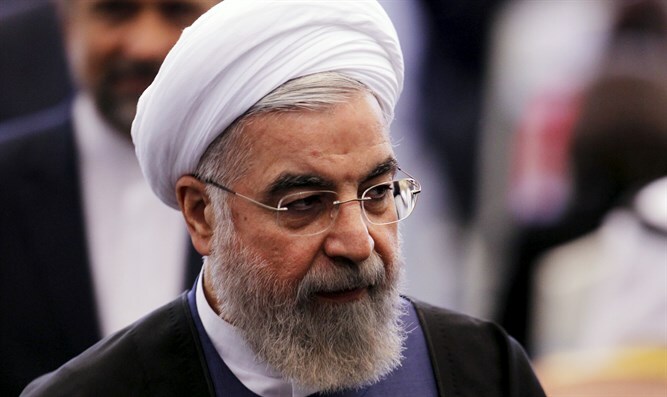 Rouhani made the remarks televised on state TV and was quoted by The Associated Press. The comments came a day ahead of the one-year anniversary of the deal between Tehran and the United States and other world powers. The agreement called for caps on Iran's nuclear program in exchange for the lifting of economic sanctions. Rouhani hailed the nuclear deal as widely beneficial, saying it promotes peace and stability and that violating it "will harm everyone." But he also assured Iranians that Iran is "completely ready" and able to restore its nuclear program quickly if other parties violate the deal. Iran has consistently accused the other parties signed to the agreement, particularly the United States, of failing to fulfill their end of the deal. The Islamic Republic claims the U.S. hasn’t done enough to encourage banks to do business with Iran. Several European banks paid huge fines in recent years for breaching U.S. sanctions. In particular, Iran's Supreme Leader, Ayatollah Ali Khamenei, recently charged, "The Americans are not applying a large part of their commitments as we have done." In response, Secretary of State John Kerry stressed that the Obama administration has met its sanctions relief obligations to Iran, but is willing to listen to Iran's complaints.